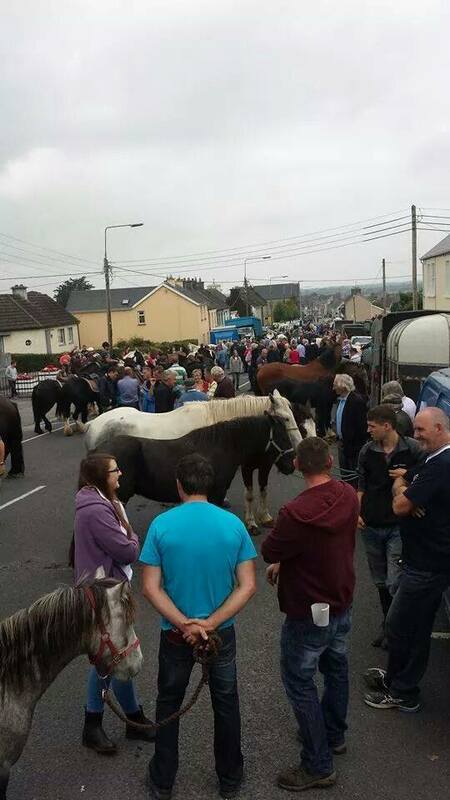 2014 Banagher Horse Fair, smaller, but it DID go ahead! The most farcical part of the attempted shut down of Banagher fair, was when John Boy Dolan got cautioned for selling HENS… when the town is awash with drugs! Some saps said shut it down. But they were only doing their job. It was spectacular, I dont deny! They cautioned a man for selling HENS! You wouldn’t see it on CSI! Taken down by the Gardaí’s best. But god help you if you sell a horse or hen!